Slow Cooker Chocolate Mousse + Slow Cooker Cookbook #Giveaway! 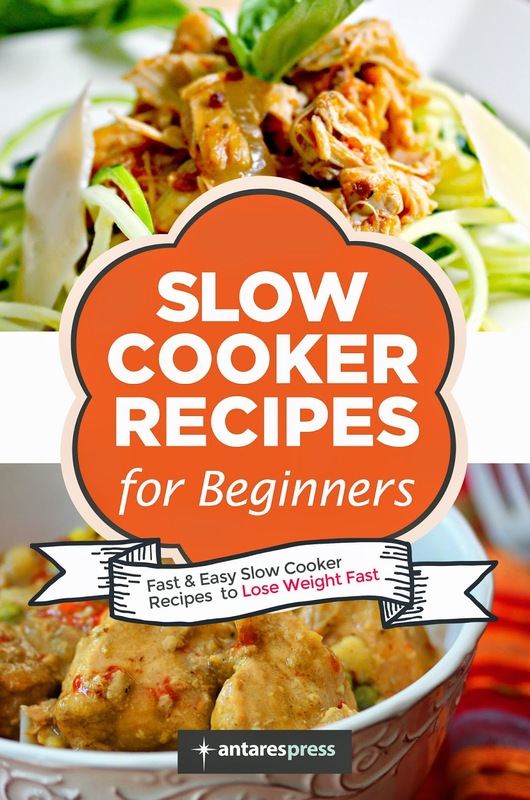 Slow Cooker Recipes for Beginners is a great recipe resource with 55 easy slow cooker recipes to make, in categories ranging from appetizers (snack mix, wings, meatballs), to soups and stews (Thai Chicken Soup, Cream of Mushroom), meats (meatloaf, ribs, roulade, etc. ), sides (wild rice and veggies, mashed potatoes), and desserts (cheesecake, mousse). There is a good vegetarian section as well. I found the recipes easy to read and well written. There is a nice variety of "traditional" pantry ingredient recipes to ones that are a little more international in ingredients, spice, and flavor - so something for everyone! The book is well laid out with a nice, brief introduction to slow-cooking and comprehensive recipe index. Whether you are new to slow cooking or not, this is a great addition to your recipe books! If you have Kindle Unlimited, you can read it for free now (or use the 30-day free trial offer Amazon is running). I hope you will enter via the Rafflecopter widget below for a chance to win your own e-copy of this cookbook - and make sure to visit the Giveaways Page and enter to win all of the current giveaways going on now! In a 4-qt slow cooker (it will cook faster in a larger slow cooker) place the heavy cream, yolks, sugar, espresso, and vanilla. Whisk to combine then stir in the chocolate. Cover and cook on low for two hours, stir at the 90 minute mark to blend in the chocolate pieces. Once the chocolate is melted and there are little bubbles on top (the mixture should be thickening as well), carefully pour the mixture into a blender. Blend on high until the mixture doubles in size (a few minutes). Pour into individual serving dishes (ramekins, cups, etc.) and chill for at least 2 hours before serving. Garnish with whipped cream and shaved chocolate if desired. *Full Disclosure: I received complimentary product from Antares for the purpose of review. I received no compensation for this post. All comments are 100% accurate and 100% my own. I love making good old fashioned pot roast... mmM! I love to make shredded pork and apple desserts in my old slow cooker. salsa chicken - jar of salsa, packet taco seasoning, 1-1.5 lb raw chicken breasts or tenderloins, can of black beans drained and rinsed, couple jarred jalapeno slices! it is heavenly on tacos and with rice and even on salad! I love to make chicken for tacos in the slow cooker!